Last Wednesday night I went to the game shop for our, now weekly, painting and hobby hangout. 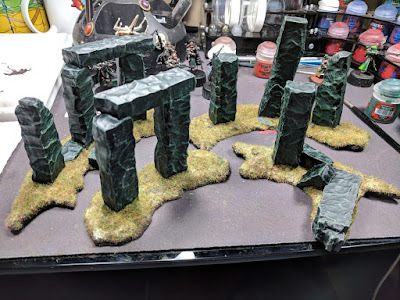 I took with me the Mystic Circle terrain piece to paint up, because I knew I didn't need excellent lighting, as it was pretty much a drybrush only piece and I wasn't worried about being super detailed with it. 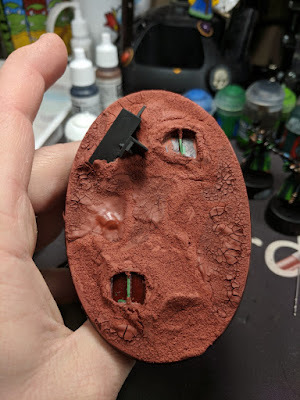 While there, I painted all of the stones, added some sand to the base and even got the ground base coated. The ground was then drybrushed with Mournfang Brown and XV-88 after it was fully dried. After it was all dry, I hit it with dullcote and let it sit for a day or so before I started adding in static grass and snow. 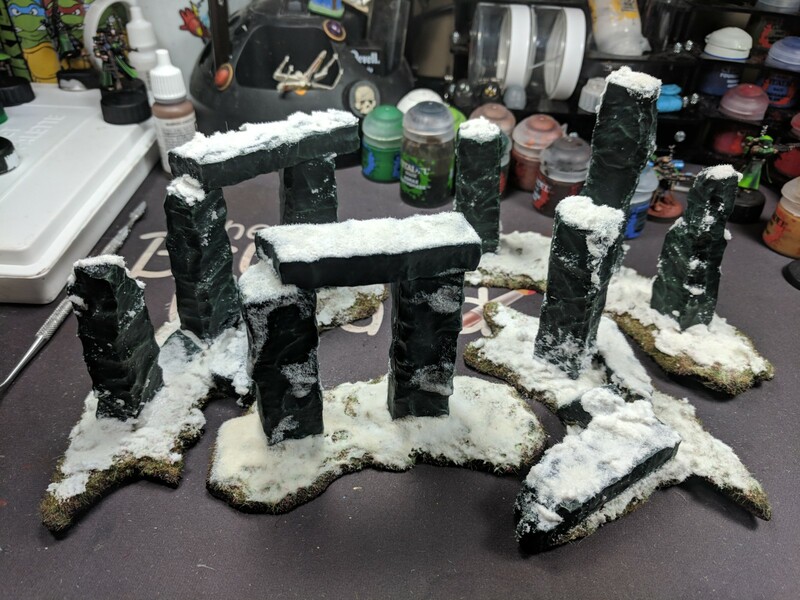 The first one I did was in my standard style of snow making, which is Elmer's glue, some Games Workshop static snow and baking soda. It works well, but the snow ended up yellowing right away and it took a lot of snow to make the slushy parts. 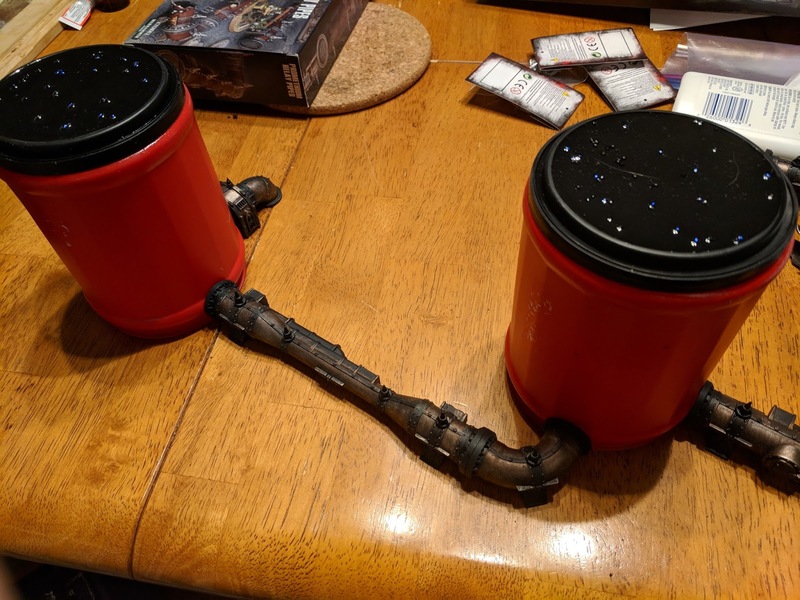 So on Sunday while I was at the game shop I picked up 2 pots of Valhallen Blizzard technical paints and gave them a shot, in place of the glue mix. 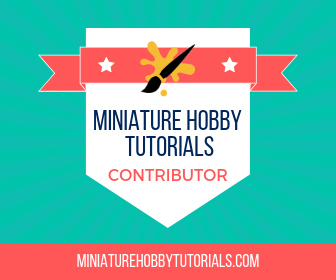 In last week's post I mentioned that I started on the next Sydonian Dragoon. Well this week I managed to get the base done and began painting it. This guy's been a bit of a rough road. I had to rebuild the rider, because he broke in storage, which is a good thing because I got to play with re-positioning his arm. He has a few other broken parts that I've already had to glue back together. The crackle paint on the base didn't like to hold, so I ended up putting some Elmer's glue over top of it to hold things in place. I have a feeling his guy is going to be troublesome. I have been recording the process of painting him for a future Let's Paint video though, so you'll get to see the entire process on this one. 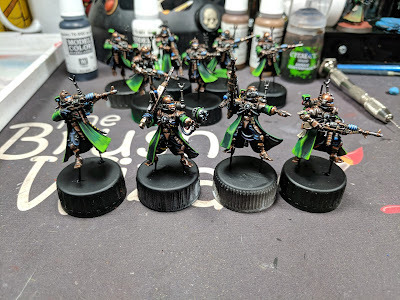 I managed to get so close to finishing these guys that I can see the end of the tunnel. But it seems to constantly be just outside of reach. As of Monday's stream, I was able to get 4 of the dudes finished. But Tuesday night, I tried to continue on and just couldn't gather any motivation. It didn't help that one of my dogs was being ultra needy last night. They will return to the table on Thursday night. Finally, we have a new piece of terrain. At work we ended up with a pair of small Folgers coffee cans, because we couldn't get a large can when we went to pick up fresh coffee at the store. 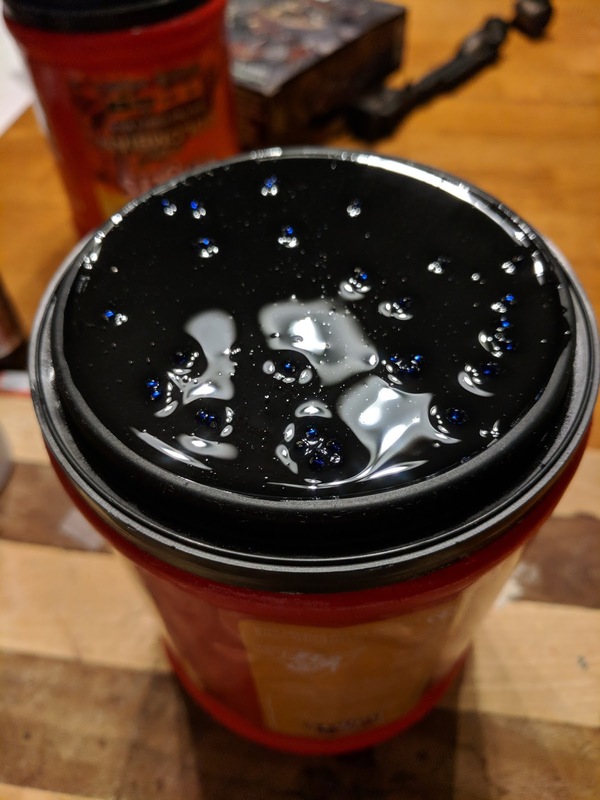 After pouring them into a larger can, I kept looking at them, trying ti figure out how I can use them for terrain in 40k. That's when I had the idea of using them as vats for my Promethium Relay Tubes. After looking them over, I had the idea of gluing the lid to the bottom of the can, turning the recessed section of the lid into the center of the vat. I then super glued some beads to the top of it and started covering them with resin to hide the lettering and make the beads look more like bubbles. So far I am pleased with them, but they aren't done yet. I'll be working on them some more tonight at the game shop. The plan is to make them more interesting using card stock and plasticard. I may use some 40k bits to tie them into the setting a bit more, it all depends on if I have anything on hand that'll work. That's it for now, check back next week for more project progress. Or, you can catch me on Twitter and Instagram and see things as they happen.